“Both the Education Ministry and parents need to quickly think out of the box, accept and embrace changes and demands in the employment market. “Like what I have said in previous blog posts, there are too many doctors and lawyers in Malaysia. Parents need to encourage their children to take up new education and tertiary programmes and skills to suit the demands of a global era of fast changing science and technology,” he added. Syed Razak, who is Gerakan’s nominee to contest N.37 Bukit Lanjan in the coming 14th General Election (GE14), said more and more unemployable graduates would enter the market every year “if they are not educated and equipped with new skills for today and the future”. 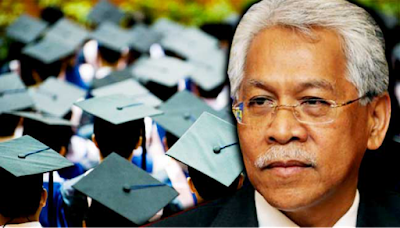 Higher Education Minister Idris Jusoh says the number comprises graduates from public universities as well as private institutions and colleges. 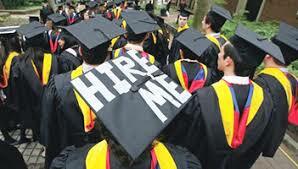 KUALA LUMPUR: A total of 54,103 graduates were unemployed six months after they completed their studies last year. Higher Education Minister Idris Jusoh said the number was based on the Graduands Detection Survey System (SKPG), which recorded 238,187 finishing their studies last year. He said courses with the highest number of unemployed graduates were business administration, applied sciences, human resource management, accounting, arts and social sciences. “This number did not comprise graduates from the public universities only but also from private universities and colleges,” he said in reply to a question from Senator Ng Chiang Chin in the Dewan Negara today. Idris said in tackling the issue of unemployed graduates, the higher education ministry had implemented a number of programmes, including the Integrated Cumulative Grade Point Average (iCGPA), Two Universities + Two Industries (2u2i) and the CEO Faculty. “We created these programmes according to the national education blueprint. “The rest of the world which does not have these (programmes) are watching us. This system will be able to produce graduates that are more holistic for the working world,” he said. Recruitment companies say the changing nature of jobs requires today's employees to develop new skill sets to meet the needs of the industry. Martin Hayden, Chief Commercial Officer, Seek Asia. 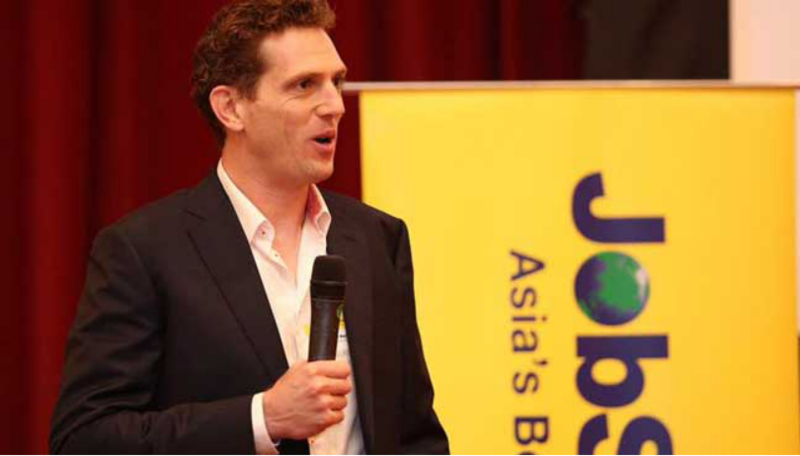 PETALING JAYA: An Australian recruitment company has urged today’s youth to constantly develop new skill sets to cater to the growing demand of industries. The company, Seek Asia, told FMT that those from the younger generation need to learn new skills, even after they finish their tertiary education, to gain an edge in the job market. “The cycle of skill sets is moving very quickly. “Skill sets such as digital marketing and product management did not exist 10 years ago. But they have become some of the most sought-after skills in the market now,” chief commercial officer Martin Hayden said on the sidelines of the Jobstreet HR Networking 2017 event here today. 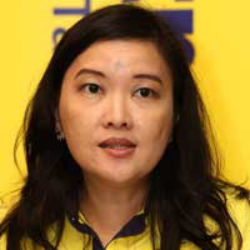 Also at the event was Jobstreet Malaysia country manager Chook Yuh Yng, who spoke on the importance of higher education levels for job creation. According to Chook, a society with a higher level of education will attract more investors to set up their businesses in the country, thus creating more jobs. She added that gaining new skill sets would only benefit employees and help further their careers. “When graduates finish their first degree, they shouldn’t stop there. “Don’t stop there because the job market won’t wait for you. You have to evolve with the market,” she said. It was recently reported that Malaysia had recorded a dismal number of job opportunities created in the last four years. Since 2013, some 672,000 jobs were offered only in the low and lower-middle income range. Earlier today, meanwhile, Higher Education Minister Idris Jusoh said a total of 54,103 graduates were unemployed for six months after they completed their studies last year. This is on top of Bank Negara Malaysia’s annual report released in March which said the youth unemployment rate reached 10.7% in 2015. This is more than three times the national unemployment rate of 3.1%. Chook said this pattern of unemployment, especially for those within the range of 20-29 years old, was typical even on a global scale. “Much like the cycle of the economy, it will gradually become better, more so when the education level of a country is improved,” she said. According to data from the International Labour Organization (ILO), Spain recorded the worst youth unemployment rate in Europe in 2011, at 46.4%. In Southeast Asia and the Pacific, meanwhile, the youth unemployment rate is expected to increase from 12.4% in 2015 to 13.6% in 2017."